Q. Where can I get a cup of coffee, a drink or a snack in the library? 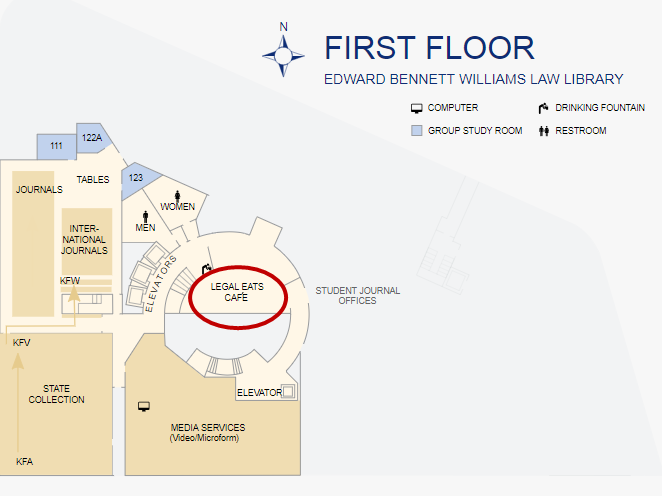 Legal Eats is located on the first floor of the library and offers coffee, drinks and small snacks. You can also find a hot water dispenser (on the right hand side of the sink) for making tea or instant snacks like soups.